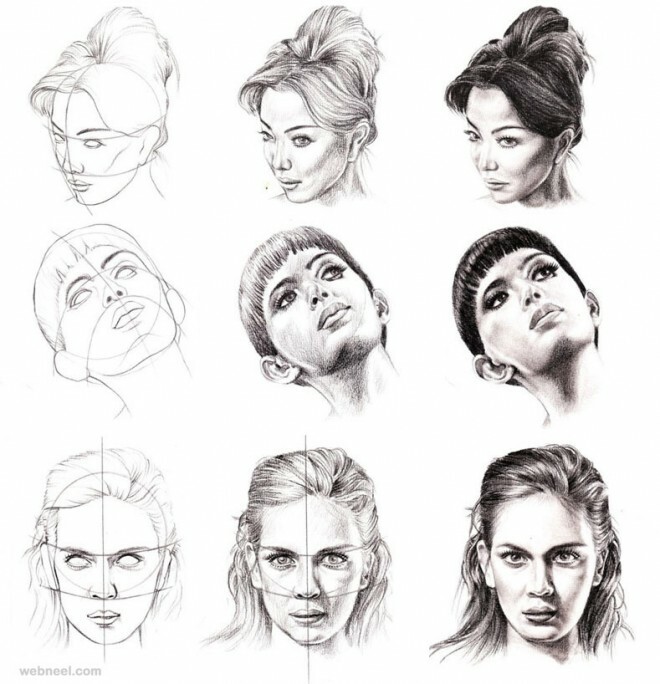 Current selected tag: 'drawing reference guide'. Clear. 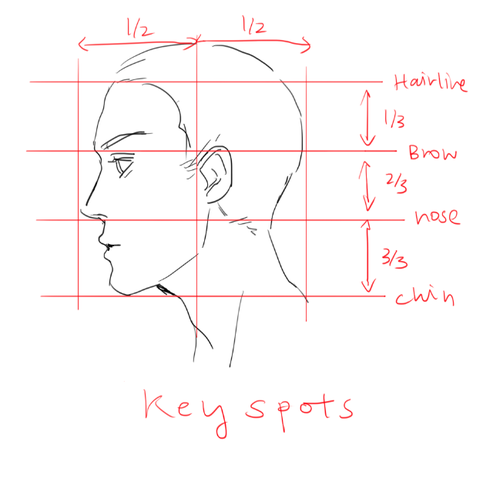 In this reference guide, you'll get a better understanding of the proportions that make up the human face when viewed from the profile. 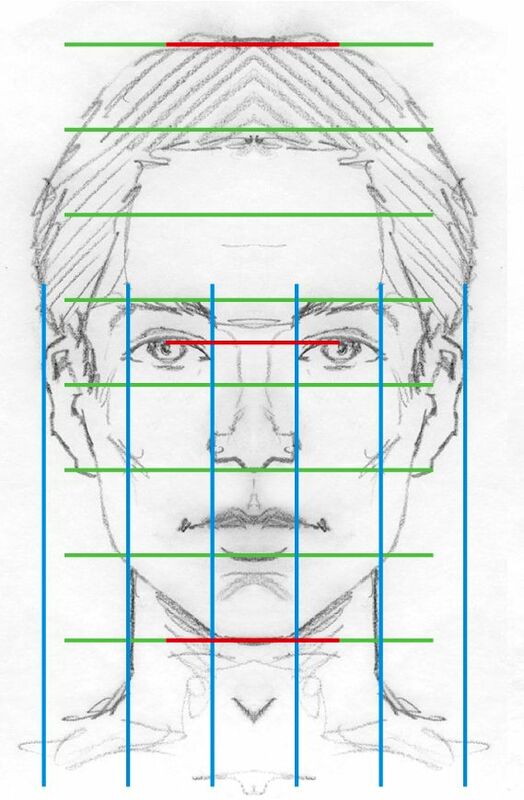 After using this reference guide, you'll have a better understanding of the proportions of the human face at different angles. Whether you're a beginner or pro, this guide will be useful. 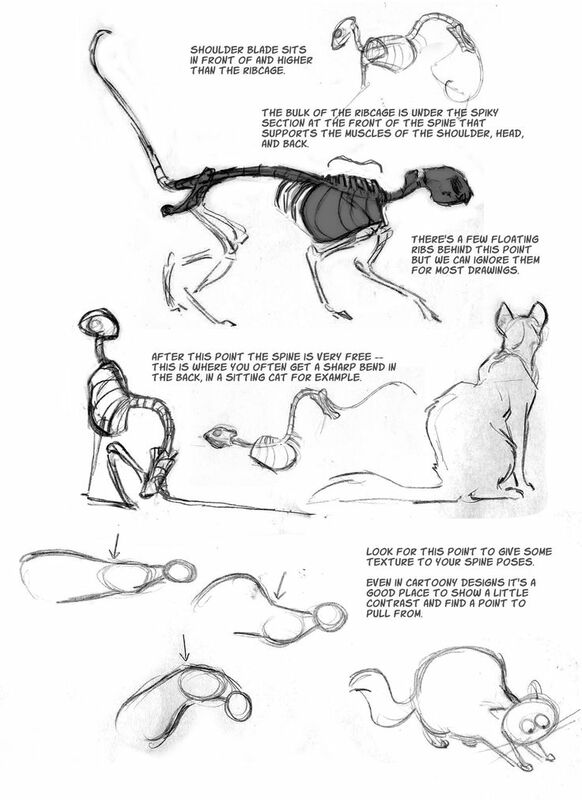 This reference guide is for anyone who wants to know how to draw the anatomy of different poses and gestures. It has very detailed tips as well as images that explain each part of the process. 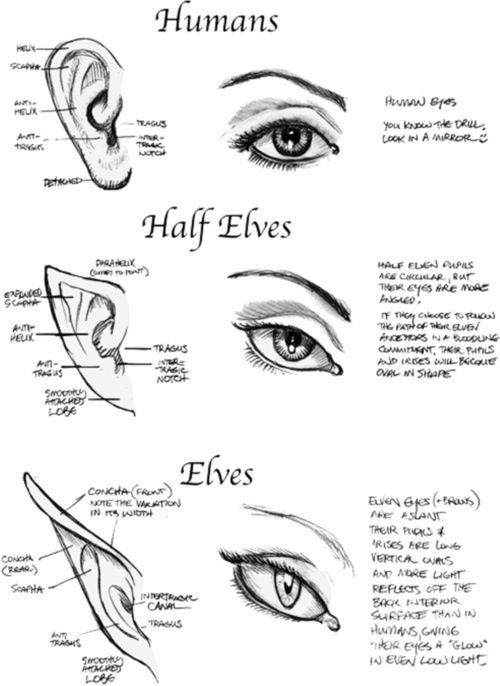 A useful reference guide for any artist interested in learning about the different aspects of drawing clothing on various parts of the body. It is especially useful for drawing baseball caps, skirts and jeans. 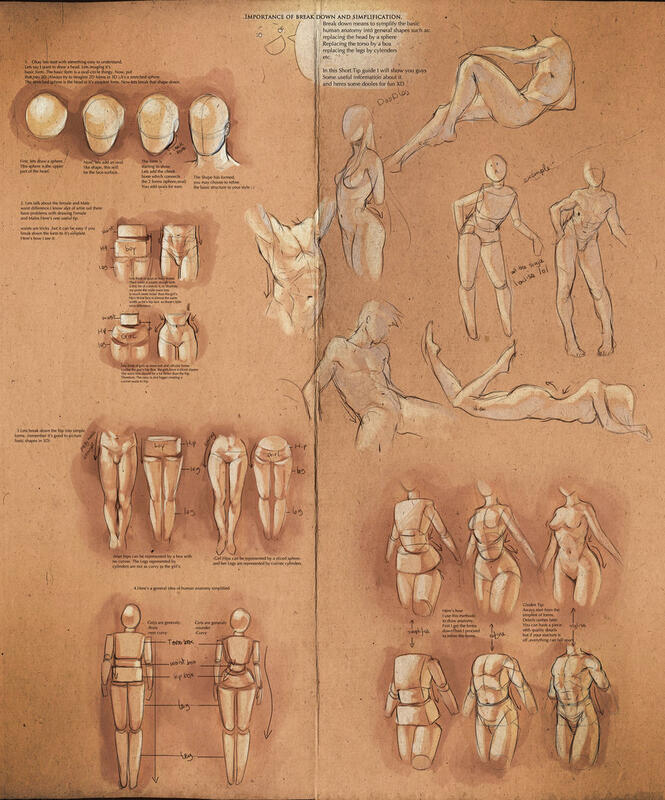 In this reference guide, you'll learn about the anatomy of the human body using simple shapes. The guide also explains the differences between male and female anatomies, as well as the proportions of different body parts. 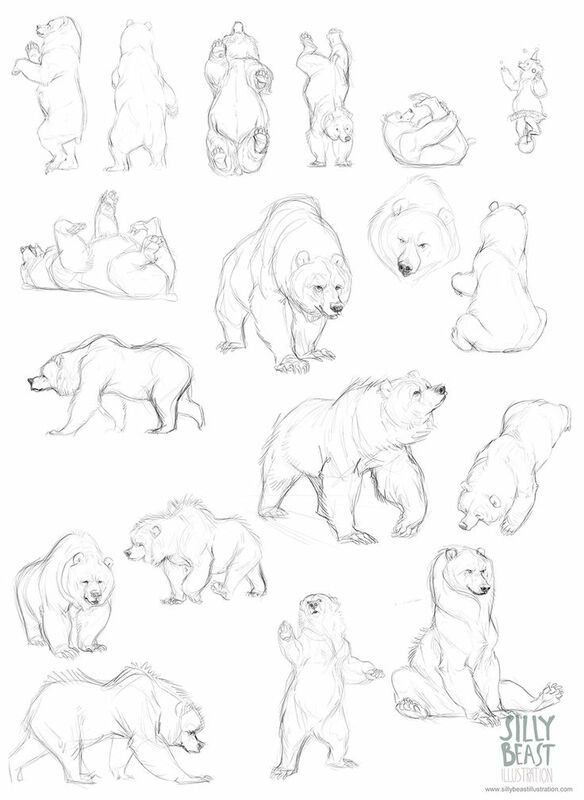 Drawing objects and scenes can be challenging when you're a beginner because you're unable to break down the complex shapes into simpler shapes. 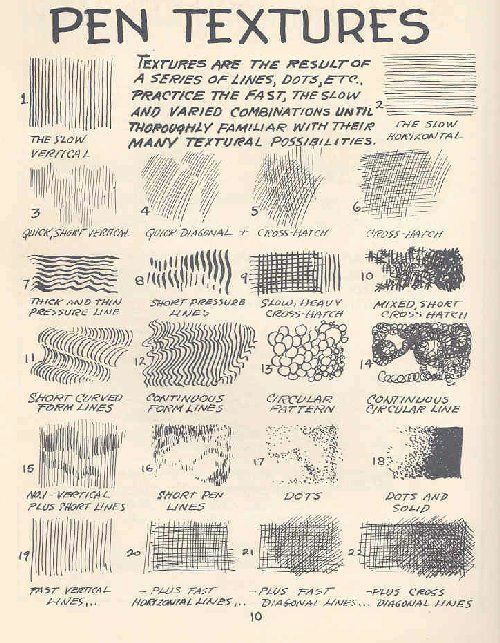 This useful reference guide explains how you can draw just about anything using only 5 basic geometric shapes. 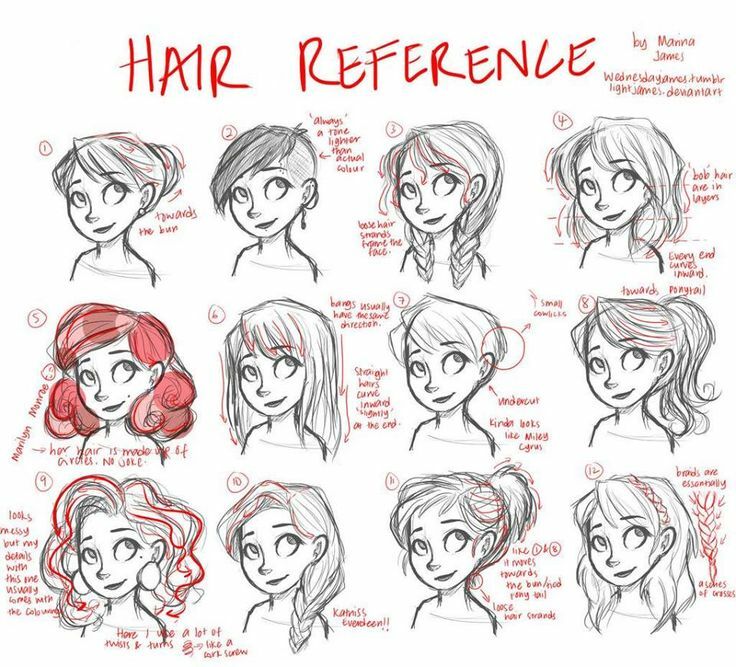 If you're a cartoon artist, you need to check out this guide about drawing different hairstyles on your characters. Great info here. 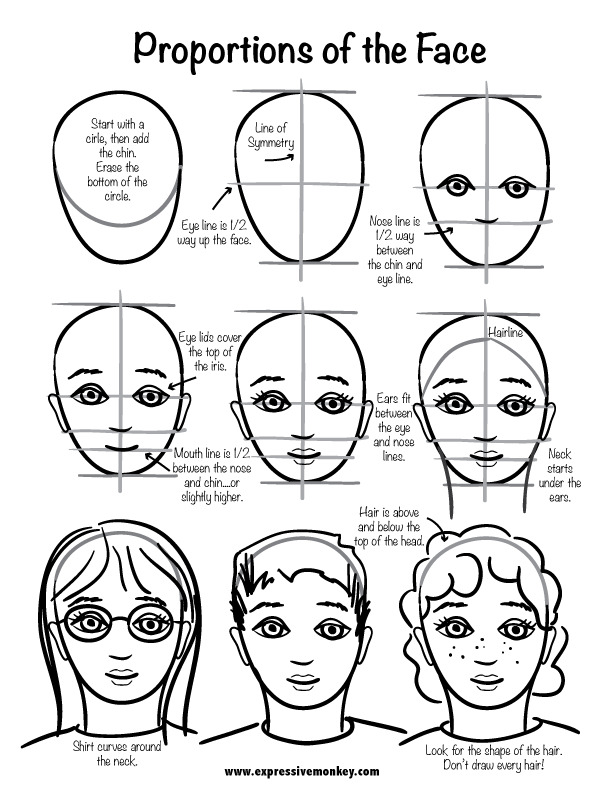 This reference guide will teach you how to draw expressive mouths for your cartoon drawings. 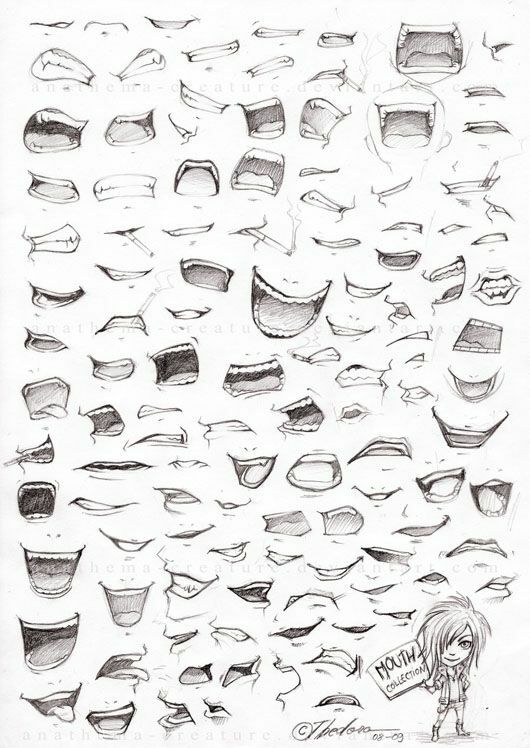 These mouth shapes can be used to show emotion or even as guides for lip syncing mouth movements in animations. A simple reference guide explaining the anatomy of the human mouth and lips. 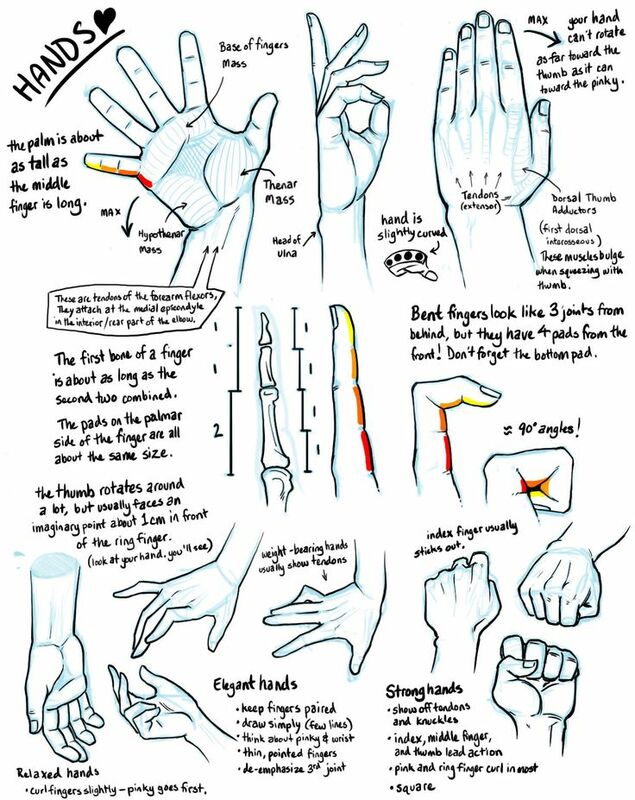 This reference guide is a great resource for anyone who wants to get a better understanding of the anatomy of the hands. It also contains detailed information about the structure of the bones in the fingers and the characteristics of different hands. No matter how many times you've drawn them, the hands are some of the most challenging body parts to draw. This reference guide explains the different tips and guides you need to pay attention to when drawing different hand gestures. Considering that I find drawing hands very difficult and frustrating, this will help me a lot.